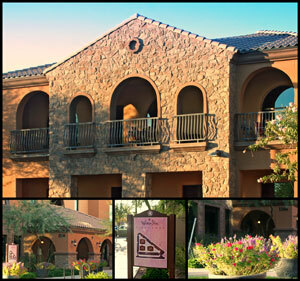 Vivid Soul Bodywork of Gilbert opened its doors in November, 2013 in the beautiful Western Skies Business Center. 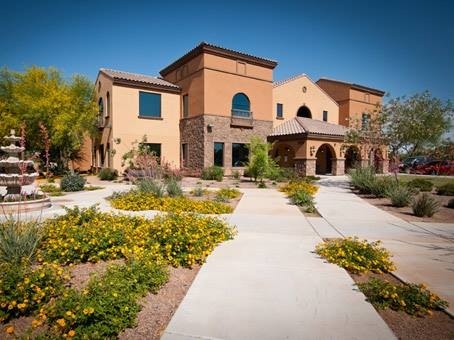 Located on the north side of Warner Rd, between Lindsay & Val Vista; the Western Skies Business Center is comprised of 3 beautiful buildings. Vivid Soul Bodywork is located in the west most building, closest to Warner Rd. When entering the business center, look for the 1166 building. Vivid Soul is located in Suite 219 of this building. Park anywhere, and enter the 1166 building through the flowery courtyard at the east side. There are stairs and elevator for your convenience. We are immediately to the left, at the top of the stairs, ready and waiting for you!